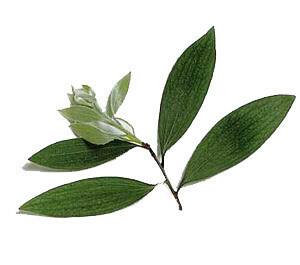 Cajeput belongs to the family of Tea tree and it has refreshing and fruity note. Cajeput essential oil should be kept handy during the cold season because it has potent properties that can relieve flu symptoms. It is best used with a diffuser but can also be applied directly on the skin or diluted. Just use a small amount because it may trigger skin allergy when abused. This oil blends well with oils of Clove, Angelica, Bergamot, Thyme, Geranium and Lavender. Cajeput essential oil is effective in clearing up mucus secretions in the nasal area and can help expel phlegm out of the lungs. It is also used as pain killer, anti-fever and anti-inflammatory. This oil has disinfectant properties that can eliminate bacterial, viral, and fungal infections in skin and helps heal wound faster. It can promote healthy digestive activity that prevents excessive gas accumulation. It may stimulate the sweat glands to release more sweat if necessary. It is good for the skin because it can minimize pores and maintains healthy glow. Cajeput oil relaxes the muscles to prevent spasms. It repairs cellular damage and keep free radicals at bay. Aside from its therapeutic uses, it can also be used as insect repellent and can also kill mosquitoes and certain insects. Get Your Cajeput Essential Oil Now! This is a stronger version of Tea Tree. If you need something for pain, Cajeput is really helpful. I mix it with Peppermint and a carrier oil like Olive oil and use it on my husband's muscles. After about two minutes, he is relieved of pain. It is amazing stuff!